a 0.50% short position in Michelin (tires, CAC40). With a market cap of about €16.05 billion this translates to a position of about €80 million. 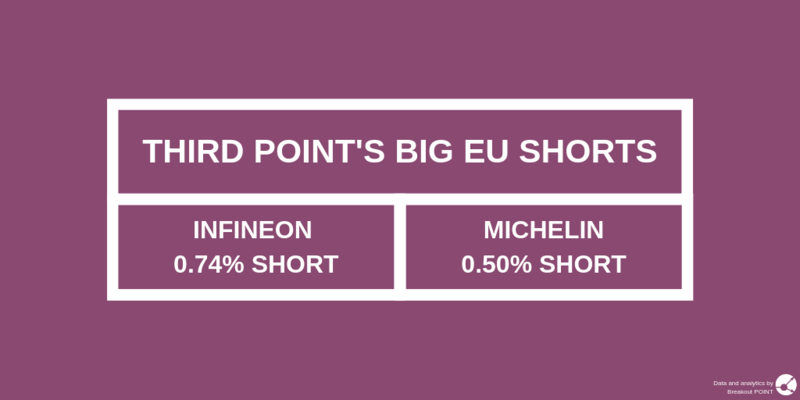 Third Point's short position in Michelin popped-up for the first time in Apr'18 (0.5%), has been decreased in Jun'18 (0.47%), and resurfaced on 2018-10-19 (0.5%). Michelin is more than 20% down since close on 2018-04-18 (date of the first appearance of this short). Several other funds had a big short in Michelin, e.g. Blue Ridge and Tiger Global, but they have already reduced their short positions under 0.5%. 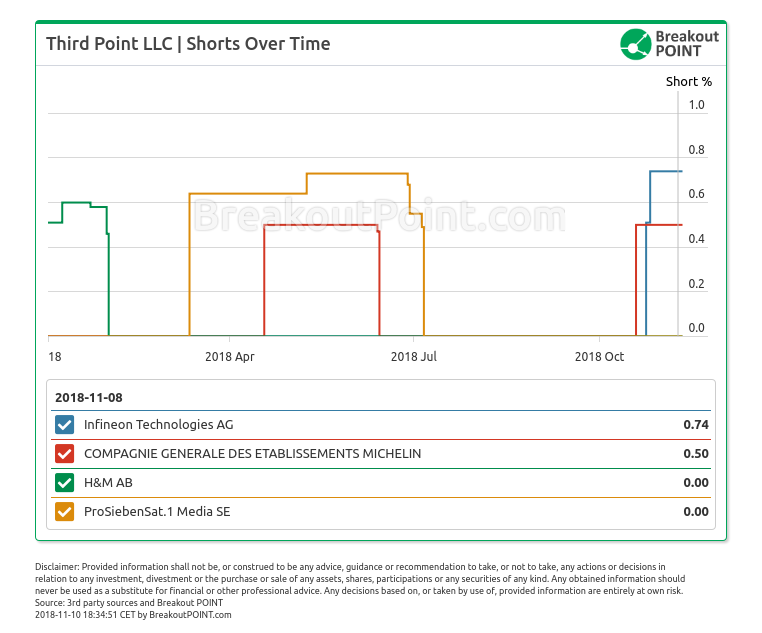 Third Point's short in Infineon popped up for the first time on 2018-10-24 and has been increased from 0.51% to 0.74% on 2018-10-26. Infineon is about 10% up since close on 2018-10-24. 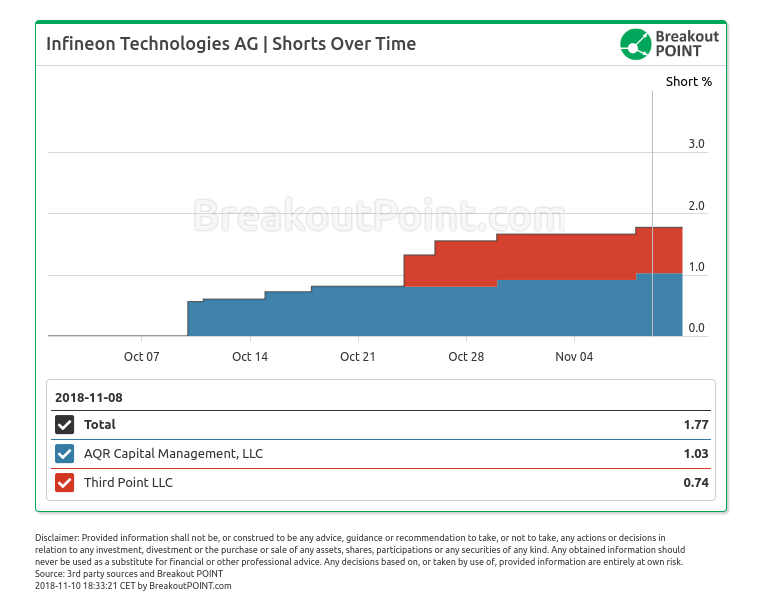 In addition to Third Point, AQR Capital Management holds a big short of 1.03% in Infineon. 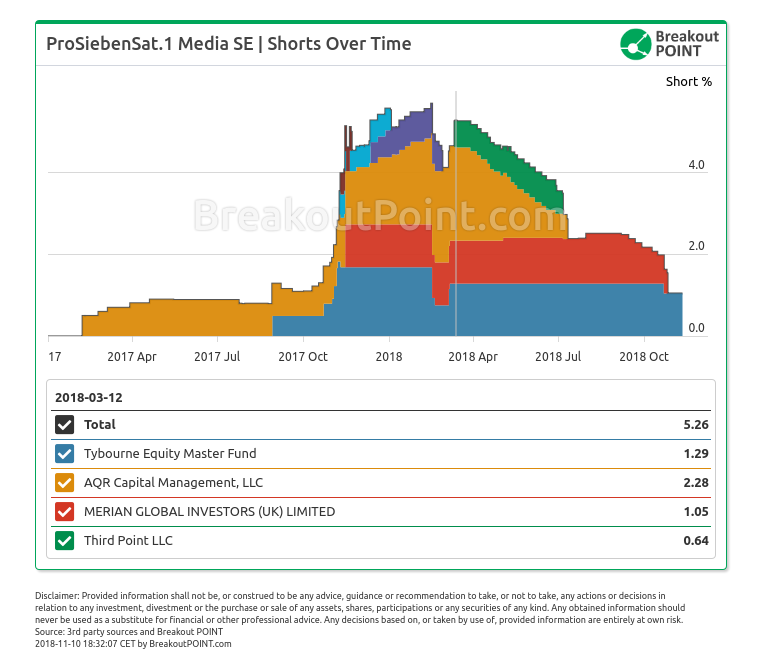 Third Point reduced their big ProSieben short before recent down move in the stock prices. They are not the only hedge fund (HF) that apparently prematurely reduced ProSieben's short position. In fact, out of 4 biggest short sellers, only Tybourne Capital kept their big short. Interestingly, ProSieben has also been a subject of an activist short report by Viceroy Research in Mar'18 and the stock prices are down about 43% since.